Experience the best of comedy shows under the stars to go ROFL for hours. 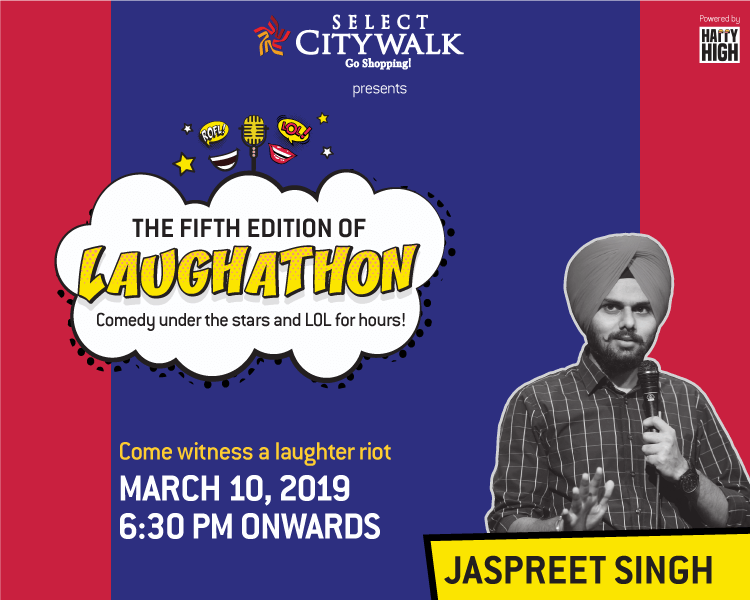 Select CITYWALK brings you one of the best stand-up comics in town – Jaspreet Singh – at the fifth edition of ‘Laughathon’ powered by Happy High on 10th March 2019 from 6:30 pm onwards. Come along with your family and friends and grab a chance to hear the most hilarious stories live!